Fast and Furious lead actor, Paul Walker's daughter Meadow Walker has been awarded a $10.1 million settlement from Roger Rodas' Estate. Roger Roda was the friend who was driving the car that killed both Paul Walker and himself in 2013. 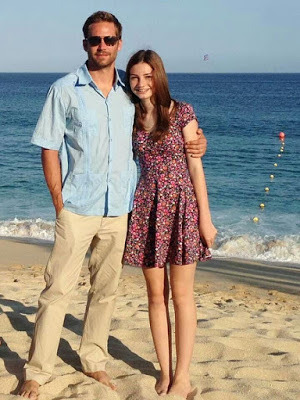 "The amount paid by the estate of Roger Rodas into a trust for Meadow Walker only covers a fraction of what her father would have earned as an international movie star had his life not been tragically cut short." Roger Roda's widow and Paul Walker's daughter had tried to sue the car maker for Paul Walker and Roger Roda's death but Meadow's lawsuit was denied. While earlier this week, a Federal judge ruled that Rodas' widow cannot prove the car maker was responsible for the accident. So her case was dismissed.